As one of Africa’s largest countries, South Africa is home to wonderfully diverse landscapes, from majestic mountain ranges to glorious coastlines and beaches. Given the size of this truly beautiful country, there are plenty of attractive locations for expats to choose from. With plenty of active industries, including manufacturing, wholesale and retail trade, and tourism, Cape Town offers a wide variety of opportunities to jobseekers. If you’re in the finance industry, you’ll also be pleased to know that 16.6% of Cape Town’s economic activity comes from finance, insurance, real estate and business services. With so many opportunities on offer, Cape Town is a great place for those looking to further their career. Better yet, this buzzing capital also offers a great work-life balance with plenty to do, see and experience. There’s also the added bonus of shorter commuting times compared with other major cities from around the world including New York, London and Moscow, giving you extra time to absorb and experience all that Cape Town has to offer. 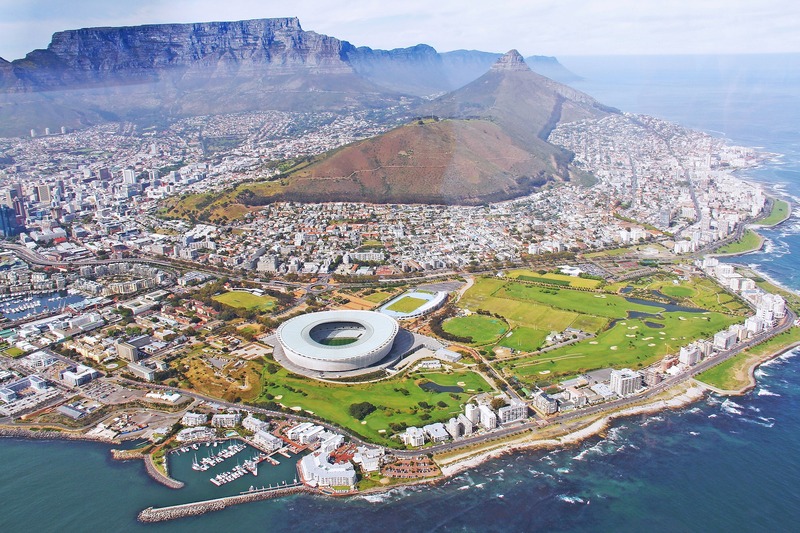 As the country’s legislative capital, Cape Town is the third most expensive place to live in South Africa, behind Johannesburg (2nd) and Pretoria (1st). With that said, the cost of living here is much cheaper than other major cities across the globe. In fact Cape Town’s overall cost of living is 56% cheaper than New York, 54% cheaper than London and 50% cheaper than Sydney. For Jeremy, an American expat living in South Africa, there’s a stark difference between the cost of living in South Africa and the US. “As somebody who can see the prices in SA relative to the prices in the US, money really carries much further in South Africa” he says. The quality as well as cost of food and groceries is also better than you may think. “Red meat dishes are particularly spectacular because the meat is far more flavourful here” says Jeremy. This could be because a lot of authentic South African cuisine is created with Malaysian spices, mixed with other spices unique to this part of the world. Surrounded by mountains and embraced by coastline, Cape Town situated in a truly perfect location. The city and its surrounding areas offer ample opportunities for hiking, mountain biking, water-sports, fishing, and plenty more. Trying the local cuisine is also an enjoyable past time. Situated right next to the Atlantic Ocean, Cape Town’s seafood scene is thriving. To name a few popular options, crayfish (also known as rock lobster) and snoek are both regional favourites. Cape Town is also home to many thriving expat communities, where you’ll find plenty of English speakers as well as expats from all over the globe. Johannesburg is the financial centre of South Africa, and as such offers opportunities in finance, real estate and business services. The city boasts a thriving banking sector where you’ll find plenty of career options in commercial, retail and merchant banking, mortgage lending, insurance and investment. With a great variety of job prospects on offer, Johannesburg performs incredibly well when it comes to work-life balance. Awarded second place for work-life balance in Internations’ Urban Work Life Index, Johannesburg takes the lead out of all South African cities, with Cape Town coming in 15th place. This is likely due to the amount of leisure options available for adults and kids alike. While it is generally more expensive to live in Johannesburg than Cape Town, there are some aspects of living that are often cheaper. For example, price of rent in Johannesburg is approximately 37% lower than it is in Cape Town. Much like Cape Town, Johannesburg is still much cheaper to live in compared to other major cities across the globe. This makes it a truly attractive destination for those looking for a great work-life balance combined with a low cost of living. Similar to Cape Town, Johannesburg offers a thriving expat community where you’ll find plenty of English speaking expats. Plus, “because English is one of the predominant languages, especially in the major cities, it eliminates any linguistic barrier” says Jeremy. Unlike Cape Town, however, Johannesburg is not next to the ocean. The city is located in the northern province of Gauteng which is also home to Pretoria, South Africa’s administrative capital. But What Johannesburg lacks in stunning coastal views, it makes up for in character and culture. Joburg is home to a flourishing theatrical scene, live music and jazz clubs, museums and libraries. This gives you the opportunity to enjoy and experience all that this beautifully diverse city has to offer. 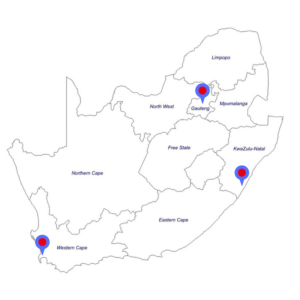 Located in the KwaZulu-Natal region, Durban is well known for its manufacturing sector, where you’ll find numerous opportunities in automotive, domestic appliance and jewellery manufacturing industries. Situated on South Africa’s east coast, Durban is home to the largest and busiest shipping terminal in sub-Saharan Africa. This creates plenty of possibilities in the ship building and repairing sector. Ideally placed on major shipping routes and with excellent rail and road links, the Port of Durban plays an integral role in the country’s economy. Durban is the least expensive city to live in of of the three we’re looking at. The cheapest comparable outgoing is the price of housing and rent, which is approximately 20% cheaper in Durban than it is in Cape Town. The cost of private healthcare has increased in recent years and as Durban is one of the main cities where you’ll find high quality medical facilities, it’s important to ensure you’re covered with the appropriate type of health insurance. This way, you won’t have to incur any out of pocket fees when accessing the country’s healthcare services and facilities. 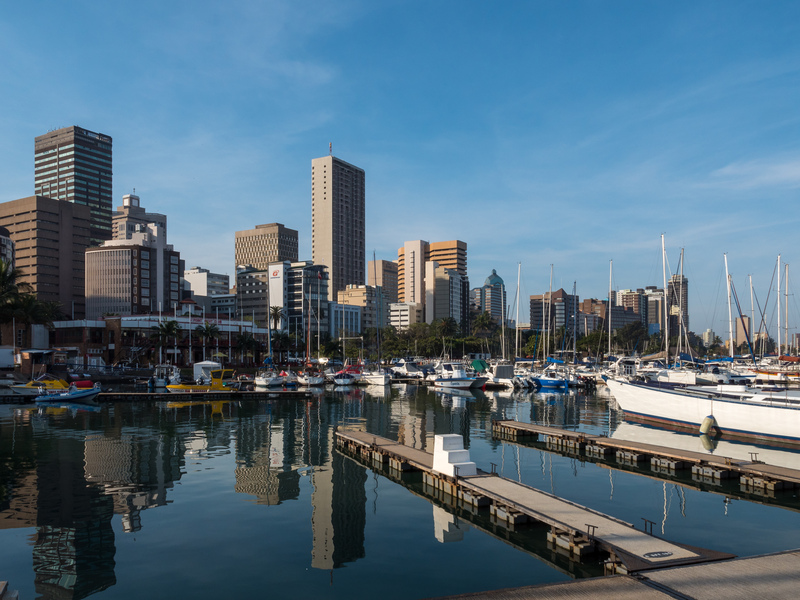 Because of its coastal location, there are plenty of outdoor activities to take part in at Durban Harbour. These include canoeing, kayaking, parasailing, and fishing. The Port of Durban is also home to uShaka Marine World and Ardington beach. These areas open up to endless stretches of glorious golden sands, locally known as the Golden Mile. Durban’s international food scene is as extensive as it is delicious. As a home to the largest Indian expat community outside of India, Durban offers an abundance of delicious Indian cuisine to try. One popular local dish is ‘bunny chow’, which is a hollowed-out loaf of white bread, filled with a selection of different curries and beans. Whether you’re drawn to Cape Town’s coastal location, Durban’s delicious international cuisine or Johannesburg’s financial opportunities, you’re sure to experience South Africa’s wonderfully diverse culture and outdoor-oriented lifestyle wherever you decide to make a life for yourself.